Kawartha Lakes fishing is known for such species as Yellow Perch, Walleye and Muskie. You can also find small and large mouth bass, carp and even northern perch. But with over 130 lakes in the region to choose from the question might not be what to fish but where to fish? Make sure that before you head out you have your Ontario Fishing License. Kawartha Lakes - What's in season? Certain fish in the Kawartha area are in season year round whereas others have specific fishing seasons. 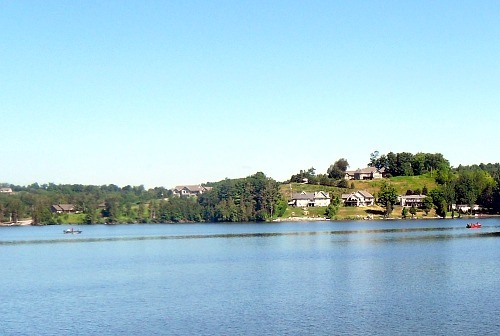 This lake region is mostly part of the Ministry of Natural Resources Zone 17. Northern Pike, Yellow Perch, Crappie, and Sunfish are open ALL YEAR for 2011. Walleye is open from early May to mid November. Muskellunge, Small and Large mouth Bass are open from early June to mid December. Some of the northern lakes in this region are part of the Ministry of Natural Resources Zone 15. Slightly different seasons apply to the same fish. For example Northern Pike is open January to March, closed for April and most of May and then open for the remainder of the year. Walleye is open from January to mid March and again from the end of May to December. Large and Small mouth Bass are open from the end of June to November. Muskellunge has a similar season, open from early June to mid December. Yellow Perch, Crappie and Sunfish are again open ALL YEAR. Because the lakes in this area are interconnected by rivers, locks and smaller lakes many of the same fish species can be found in the various lakes. That being said some lakes are better for some species than others. The tri-lakes of Pigeon, Buckhorn and Chemong are known for Bass (large and small). While Carp appears to be found in many of the Kawarthas it does not seem to appear in Balsam Lake. Also keep in mind that this area is not just great for fishing but many boaters are out on the water during the summer season. Plan your fishing time so that you can enjoy quieter waters and not have to deal with loud and fast power boats. Return HOME from Kawartha Lakes Fishing.